Delays await the coolest VW to come to America since, uh, the W8 Passat? The Corrado? Whatever. Anyway, the VW Arteon won’t be making it Stateside until 2019 and VW’s explanation for why is strange. A Volkswagen spokesman told Automotive News that the issue “is because of delays in the certification process caused by a backlog in meeting [new] WLTP worldwide emissions testing.” The European Union’s WLTP stands for the Worldwide Harmonized Light-Duty Vehicles Test Procedure. We reached out to VW to clarify that statement, but only got the same statement back. It’s not super clear how European compliance would hit American cars, though it should not be forgotten that VW (and the rest of the German auto industry) is dumping cars on the European market ahead of the new WLTP rules. Maybe Europe is getting all the Arteons VW can make right now. Jalopnik EIC Patrick George pointed out that this was doubly strange, as there are tons of VW Arteons driving around Europe right now, so the scramble to get everything to meet compliance has got to be on the “extremely urgent” side of things. Meanwhile American Volkswagen enthusiasts are still free to buy as many Tiguans as they want, I guess. 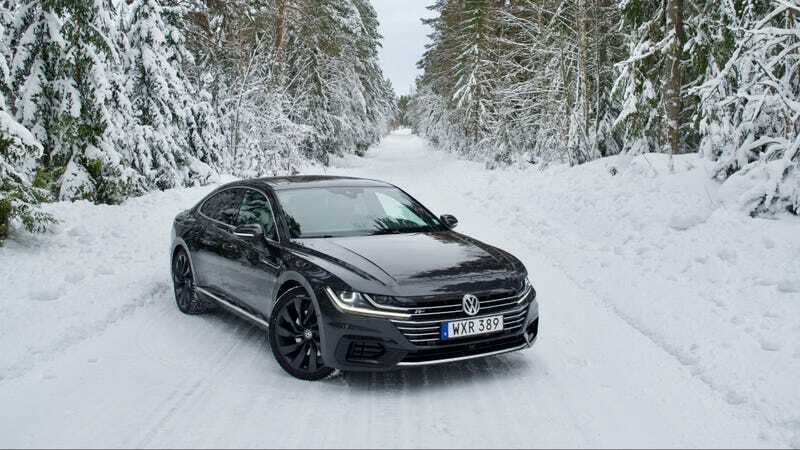 You Gonna Buy A Volkswagen Arteon?